A terminally ill cancer sufferer who doctors gave two months to live back in July managed to live out his dream of seeing Star Wars: The Force Awakens. It was the result of an internet campaign launched by his wife which rode on the hashtag #ForceForDaniel and asked Disney to let him see an advanced screening of the movie. After getting picked up by the media and celebrities it gathered momentum, receiving retweets from Mark Hamil, John Boyega, and Chewbacca actor Peter Mayhew. And, joyously, it proved successful as Disney showed Daniel an advanced screening last week and said they were happy to help him fulfil his dying wish. The 32-year-old from Houston had been a huge Star Wars fan since he was a young kid, but suffered from a rare form of cancer known as spindle cell sarcoma which affects his connective tissue. His oncologist said he wouldn't live past September, but he managed to defy that. "Judging by how progressive the disease has gotten in the past two months," he told Click2Houston about the 18 December release date, "I really don't think that I'll be able to make it." Thanks to the overwhelming support of the internet campaign the advanced screening was made possible. So well done, internet. But sadly, after holding out to see the movie and finally getting to live out his last wish, he died yesterday. 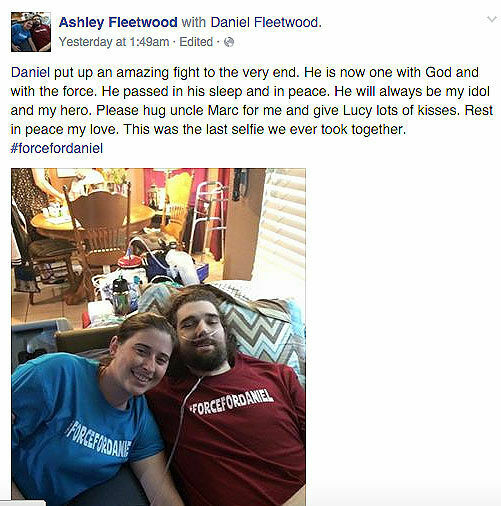 "He is now one with God and with the Force," said his wife, Ashley Fleetwood, on her Facebook page on Tuesday. The full message is below. John Boyega, along with many other people, paid their respects to the superfan on Twitter. I just read this and am elated for Daniel & his family! Thanks to the powers-that-be for making his dream come true. RIP, Daniel. May the Force be with you. Below are some of the thousands of tweets from people who were responsible for making this happen. 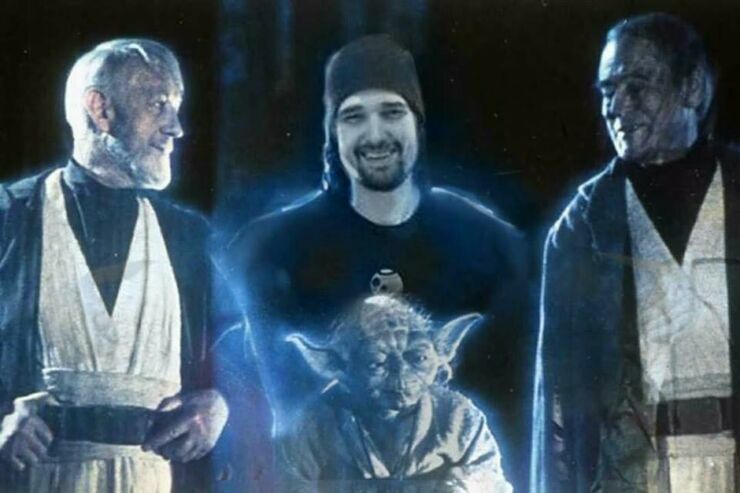 #forcefordaniel help my man get his last wish, to see a screening of Star Wars before cancer takes him.